Optimise the performance of business networks with the Netgear GS116E ProSafe Plus 16-Port Gigabit Switch. 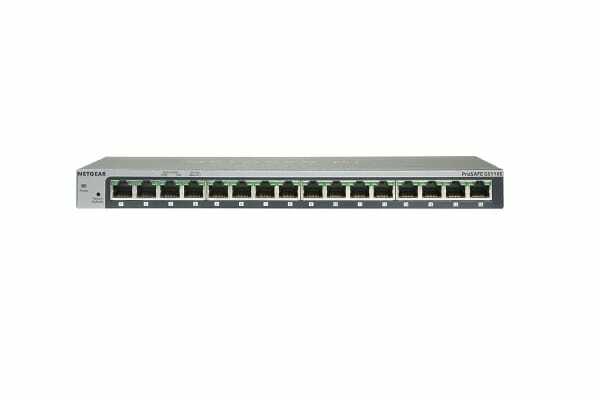 This Netgear GS116E ProSafe Plus 16-Port Gigabit Switch is designed to offer all g fundamental network features, including VLAN, QoS, IGMP Snooping, Link Aggregation (LAG), rate limiting and traffic monitoring. 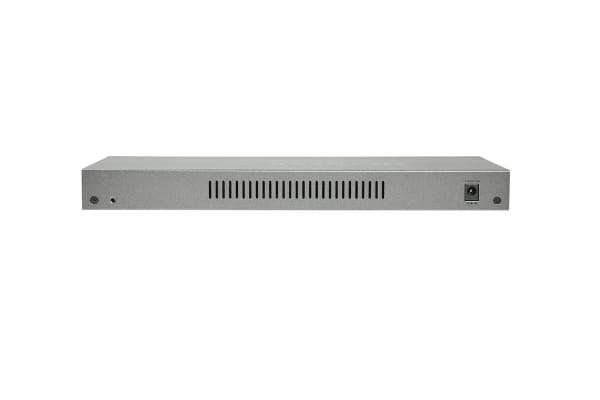 An economical and reliable option to expand connectivity, this switch provides exceptional performance and requires simple ‘plug-and-play’ installation. 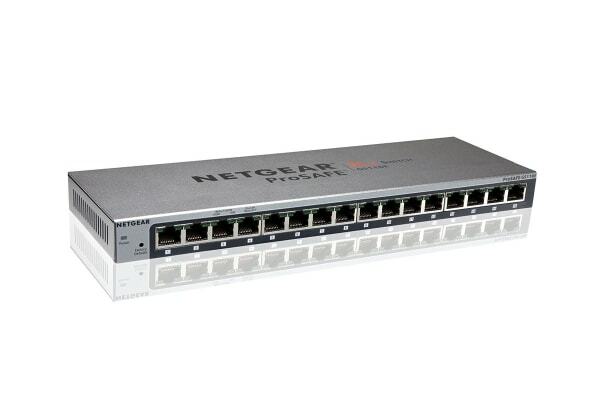 This ProSafe Plus switch comes with 16 ports that deliver up to 2000 Mbps of dedicated, non-blocking bandwidth per port, allowing businesses to expand connectivity without compromising speed or performance. It is not only easy to install but convenient to use too. If a connectivity issue arises, this switch can identify and even locate connection problems through as simple cable diagnostic test. It also offers IGMP snooping v1, v2 and v3 support for multicast optimisation. Businesses can track traffic with the ProSafe Plus Switch, as it allows them to observe traffic behaviour and allocate bandwidth accordingly. It also provides both port and tag-based prioritisation to keep latency-sensitive traffic moving ahead of less critical packets, thereby optimising traffic flow the effective way. It enables rate limiting for better bandwidth allocation to high-priority applications. To ensure that business data is transferred safely in the network, the ProSafe Plus Switch offers port and 802.1Q-based VLAN as a means of improving security and network performance. It comes with Quality of Service (QoS) for traffic prioritisation and auto “denial-of-service” (DoS) prevention.